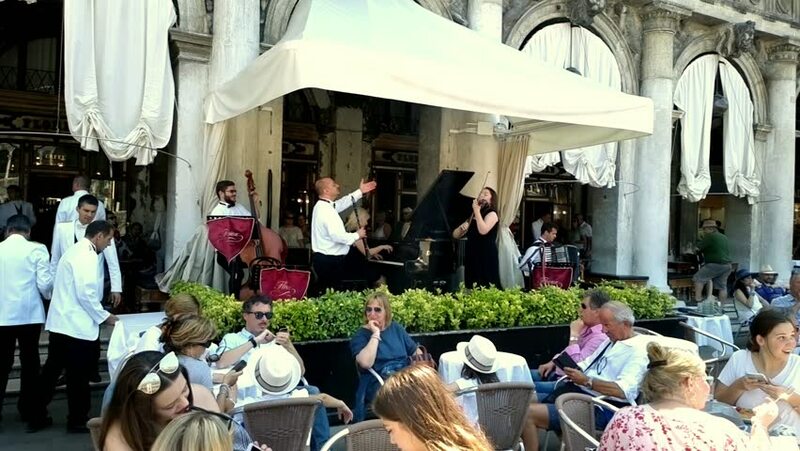 VENICE, ITALY - AUGUST 26, 2018: A small orchestra plays on a sunny day for tourists and customers in front of the iconic Florian cafe in St. Mark's Square, Venice, Italy. hd00:54Denver, Colorado, USA-August 20, 2016. Farmers market at fron of the Union Station.